Amid the high-rises, this charmingly unburnished hole-in-the-wall is a welcome place to stop in for a drink. Back in the day, the hush-hush Diller Hotel ran a speak-easy in the basement and a brothel upstairs. The Diller held many secrets and cameras weren’t allowed in the lobby, supposedly, so patrons wouldn’t be caught in a compromising position. These days, those rooms upstairs are studio rentals. And the lobby is now The Diller Room, a bar run by Rob and his wife, Josie Wilson, who seem bent on channeling its ghosts. A painting of the old man, Leonard Diller (1839-1901), hovers over the bar. And moonshine bottles found beneath the hardwood floors now sit on the top shelf like trophies. 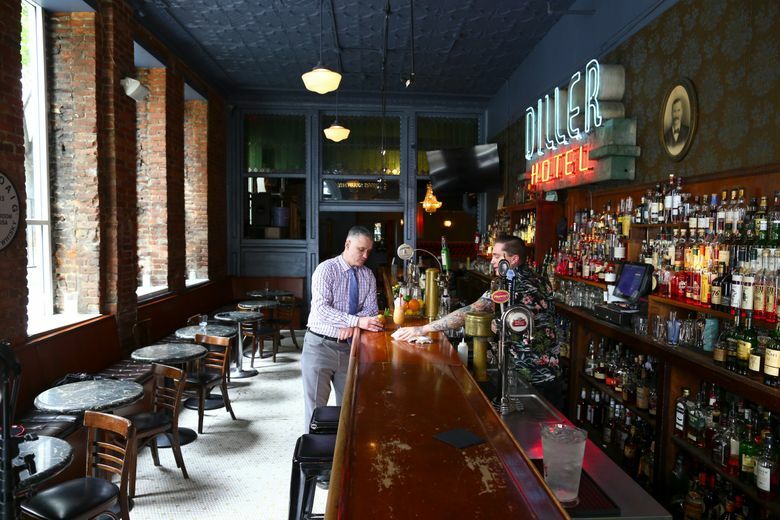 In a downtown stretch teeming with tourists, The Diller Room remains a local-and-lifer hangout. Come early on a weekday, and you might see some disheveled dudes who look like they’ve already had three tallboys too many. At night, it becomes a hangout for cocktail geeks and the after-shift haunt for bartenders and line cooks. Its shelves are studded with a whiskey collection — 10 times better than it needs to be — including a 20-year Pappy bourbon and a 21-year-old Hibiki single malt. The cocktails are riffs on the classics. 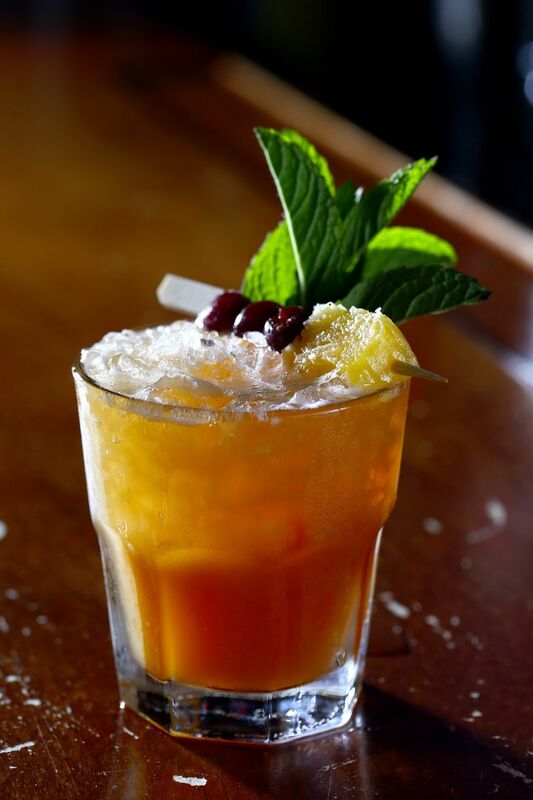 Better, and more imaginative, is its tiki list, including the beach-umbrella-ed “Exile To St. Helena,” a concoction with two rums, brandy, green Chartreuse, Campari, cinnamon, orgeat, Angostura bitters and — to mask the potent brew — lime and pineapple juice. 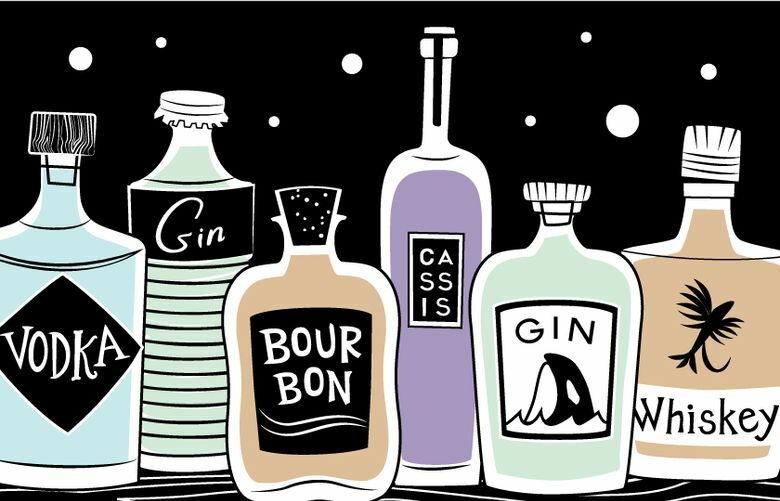 Tiki Tuesday is when the boys behind the bar seem to have the most fun, but you can order these kitschy drinks any day of the week. Opened on June 6, 1890, The Diller Hotel was billed as a luxury getaway with an elevator and running water. Those bricks imported from Japan have held up to Father Time. It’s one of the few remaining structures still standing from that era. Its walls are painted battleship gray, but tilt your head just so, and you can still get glimpses of how handsome The Diller Hotel must have looked back in the day. The chandelier sparkles in a dark corner that once housed a Chinese laundry, a front for the bathtub-gin joint during Prohibition. 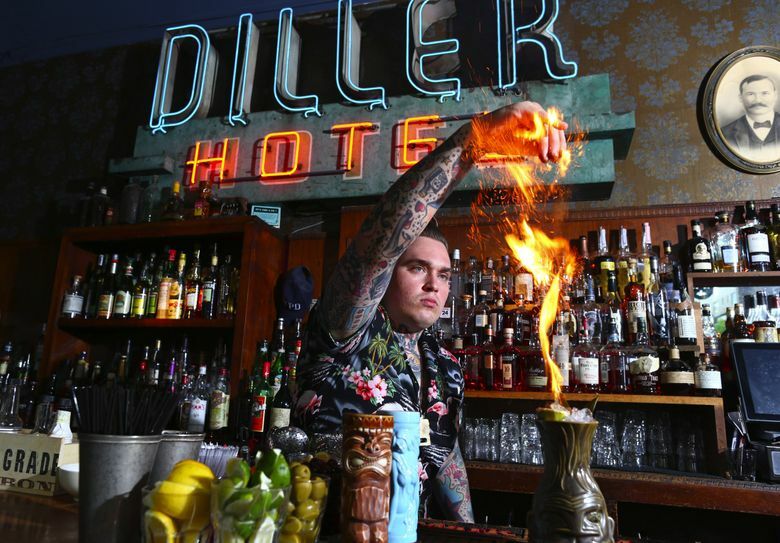 The Diller Room, 1224 First Ave., offers happy hour 2-7 p.m. daily with $6 pizzas and sliders, $4 draft beers, $5-$6 wine and $6 well drinks (206 467-4042 or dillerroom.com).